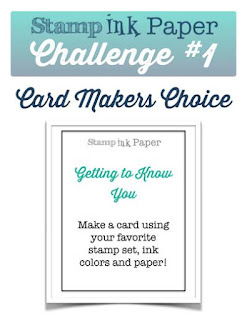 Have you seen the challenge happening over at our new site Stamp Ink Paper . 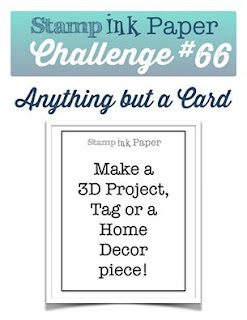 As a little reminder I have the details below and I have another card to show you a few more of my favourite things. We would love for you to share your favourites with us too. I've used some favourite cardstock Blackberry Bliss along with an old favourite (now vintage) Brushed Gold, the Pretty Prints embossing folder on Whisper White card and stamps You've Got this (Flower), Butterfly Basics (greeting) and Papillon Potpourri (most fav little butterfly). The Deco Label framelits have been used to create a window in the Brushed Gold card and I've stamped and heat embossed the flower blossom in Gold embossing powder then fussy cut in to sit behind the frame created. The closeup shows off the Gold heat embossing better. Thanks for stopping by today. 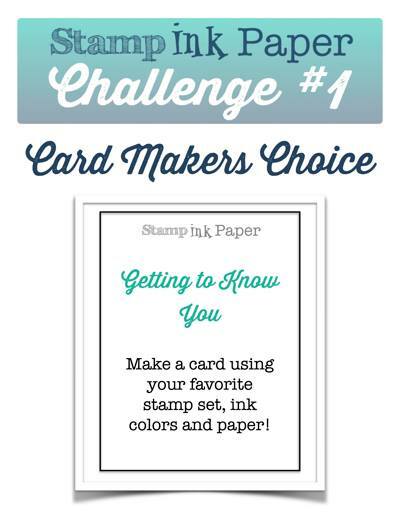 We hope you will join us at Stamp Ink Paper for the Week 1 first challenge. Just beautiful, Carolyn! I love the gold embossing, so shiny! Thank you Sandy, have a great day.